That’s the simple description of BMW’s R 1200 R. It has the 1170cc engine, but not the size of the GS line or the sophistication of the RT line. A single big headlamp. No fairing. Either no screen or a tiny optional fly-catcher to take a wee bit of the wind blast off of you. There was a time, before the R nineT was born, when if you wanted a standard Beemer then the roadster was the go-to machine. For a while the K 75 intruded on its territory (I bought one, its own big round headlamp sang its siren song) but otherwise the R was it. When we describe the R as basic, we have to remember that we’re talking basic in the Motorrad sense of the word. It still has standard ABS, ASC (Automatic Stability Control,) a tach, a fuel gauge (in fact, a fancy multi-function instrument cluster,) the telever front inverted front forks and single-sided swing arm paralever rear and, of course, shaft drive. Over the years BMW has shaved a lot of weight off the R, some 100 lbs (50 kgs) in the last two iterations. But it’s still not a lightweight, dialing up 491 lb (223 kg) on the scale. The standard seat height is 31.1″ (79 cms) but for those looking for something lower, an optional low rider’s seat drops it to 29.9″ (76 cms). The partially-water-cooled boxer has been tuned and geared to serve its 109 bhp (81 kW) with a broad range of torque. Throw in a beautifully balanced machine and you get a ride whose nimbleness belies its size. Although it’s long and rather heavy, the powerful brakes and good balance combine to produce a well-mannered bike that corners without dropping in and powers smoothly out of the turn. Like all BMWs, it’s a rider’s machine. 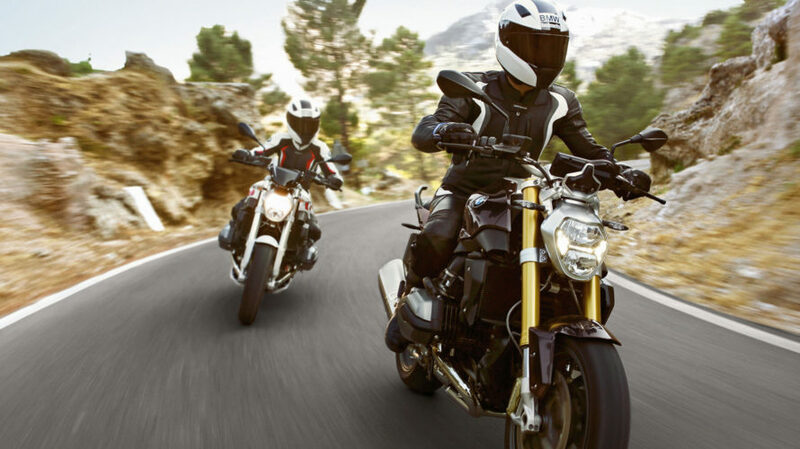 It may not have the hipster appeal of the R nineT, but if you’re looking for the boxer experience in roadster clothing, then the BMW R 1200 R is the bike for you. Prices in the United States start at $14, 345.